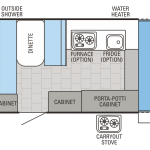 The Jay Series is Jayco’s primary and long standing line of pop up camping trailers. 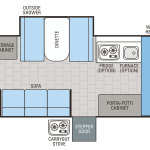 It is available in four different floor plans, each of which has at least one king bed and includes features like a carry-out dining tables and stove. 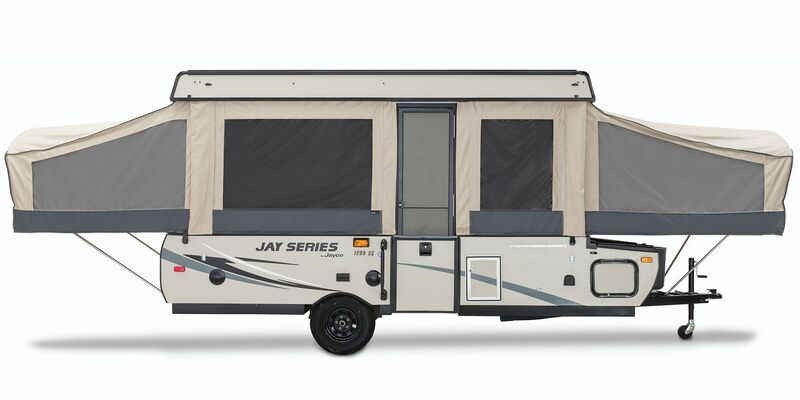 The Baja Series, which was known for its cargo decks and load-carrying capacities, has been rolled into this line as well, in the form of its spiritual successor the Jay Series 1001XR Baja Edition, which includes a cargo deck and mandatory Baja Package. 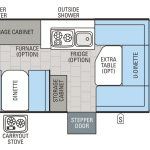 Another popular floor plan, the 1209SC, includes a slide-out dinette. 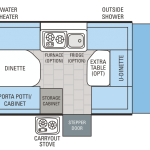 In addition, some models come with standard features like a cargo deck or storage for a porta-potty. Jayco Jay series 1209 in profile. Courtesy Jayco.